2D Exports of outline, profil, and slices as polylines and Bézier curves in the TXT, DXF, IGES, VRML and PDF formats. 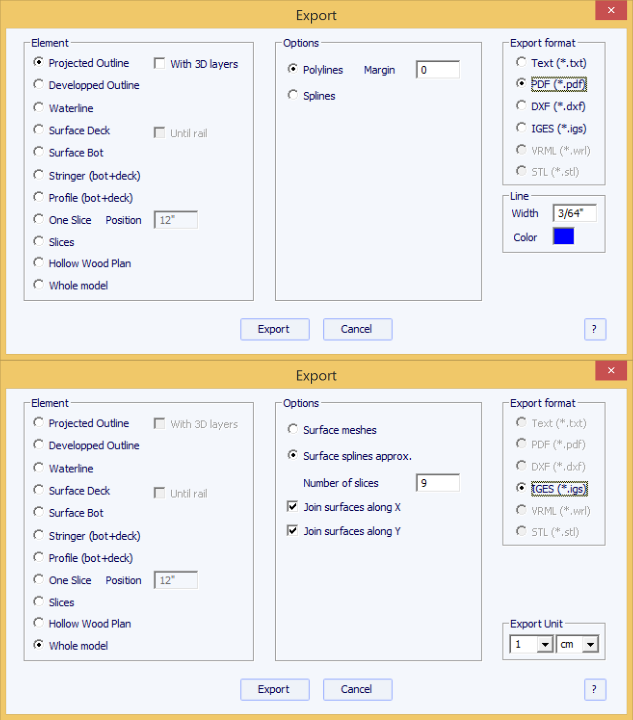 3D Export as meshes in the DXF, IGES, VRML and STL formats. 3D Export as spline surfaces in the IGES format. Compatible with Rhino ©, Solidworks ©, CATIA ©, and most of the CFAO softwares.